Audrey Quinn is a graduate of Napier University in Edinburgh where she gained a BA (Hons) in Complementary Healthcare in 2012. She is trained in several complementary therapies such as massage, aromatherapy, reflexology and myofascial release as well as specialiast training in dementia care. 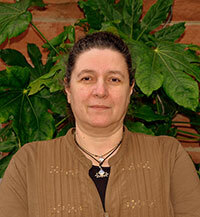 She is a member of the International Federation of Professional Aromatherapists (IFPA). She qualified as an 'M' Technique® practitioner in 2008. Since then she has used the 'M' Technique® for patients with peripheral neuropathy and to calm and sooth residents with dementia in care homes, as well as using the technique to calm agitation in stroke patients. She became an 'M' Technique® instructor in 2013. Audrey is currently the only 'M' Technique® instructor in Scotland.